There’s no escaping the fact that Autumn is coming. But we happen to think that this season is a magical time of year where the landscape colours transform from lush greens to beautiful oranges, flaming reds, and yellows. Unfortunately the typical garden never looks that pristine at this time of year, so now is the time to start to think about how to prepare your garden for the winter months. Start looking at how you can create a robust environment which will last through the harsher winter months. Make sure your garden fencing is in good condition and able to survive strong blustery winds. For instance, check the fence for any lose panels and repair fence posts now to avoid any potential problems caused by severe weather. 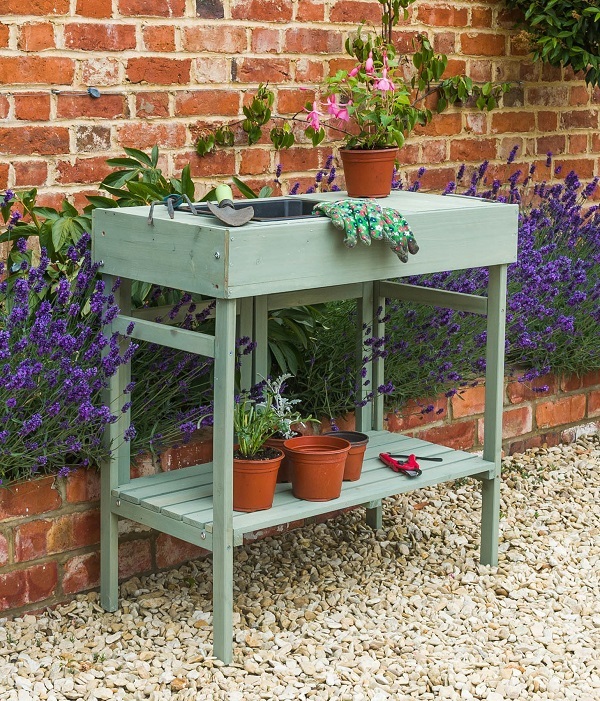 Over the past couple of years,’ the garden has become an extension of the home and people are investing more money in garden furniture and outdoor accessories. Don’t leave these items out in the garden. You will find that metal and even barbecues tend to rust and become discoloured when subjected to the elements. 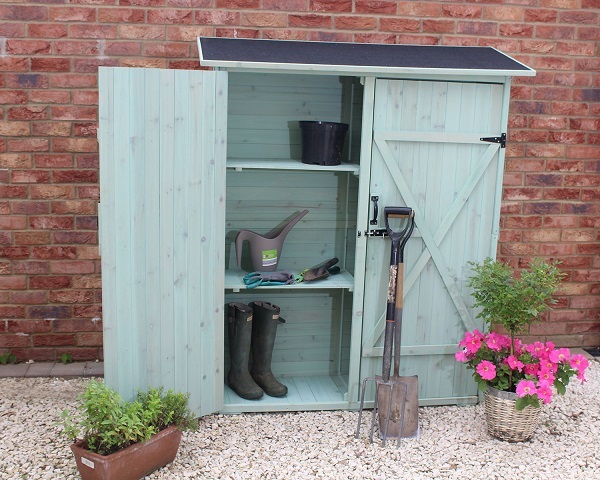 If you have a smaller outdoor space then why not consider small sheds or garden boxes to store items away. Also, consider investing in protective covers for your furniture and outdoor equipment. Don’t you just love it when your hallway is plastered with muddy footprints? One way to keep mucky shoes and boots at bay is to invest in a welly boot store, these can come in various guises. 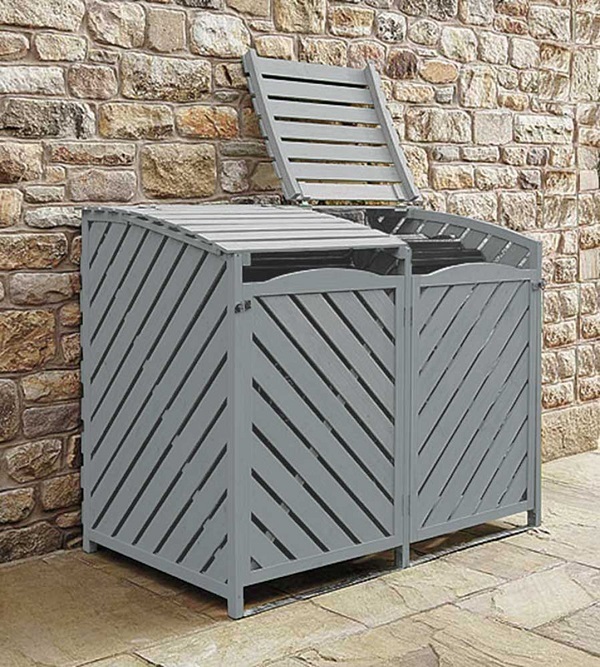 Metal outdoor storage units or more closed storage cupboards as seen below and can sit outside all year long. Make sure that you keep weeds at bay during the Autumn months and keep the grass cut – although it doesn’t grow as fast as during the Summer months – it’s worth just giving it the odd cut now and again. Trim back perennials that have turned and also don’t forget to plant your spring bulbs; daffodils, for instance, should be planted mid-October just before the ground freezes over. Sheds are fast becoming another “must have” garden accessory. People are opting for custom made structures that can also double up as an alternative room. Whatever size or type of shed you have, make sure your garden shed is in good repair and store away your garden equipment neatly so that you maximize the interior space. Use hook or nails to hang tools and introduce shelving to store items away. If you have a smaller garden then why not invest in a compact shed, that would fit into a smaller garden space but still provide you with adequate storage. Having a wood store close to your home in a handy spot for topping up you log basket will prove to be a blessing on those dark nights. It can be hard work moving heavy logs from a woodpile each day and can mean several trips back a forth. Logs that are neatly stored close to your home will be far more ideal. Make sure that you have good access to your log storage and that it’s not obstructing any other paths or gates as once stocked up it will be in position for some time. Money raised from the sale of these products helps provide incredible care for people with life-changing illness. Whether it’s bringing comfort to someone’s final days or enabling them to make the most of their life, Sue Ryder is there for them and their loved ones.